THE Emerald Airport was left a disaster zone after a severe thunderstorm struck the town. According to Emerald Airport Manager David Voss, the storm developed very quickly from the south-west when it struck late December. "The top wind gust recorded by the Bureau of Meteorology equipment at the airport was 113 km/h," he said. 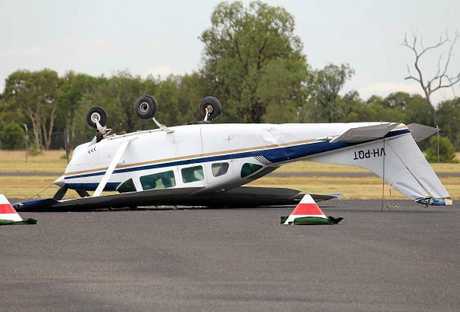 "Unfortunately, a light aircraft in the general aviation area was damaged when its tether straps broke and it flipped over. "A typical Cessna aircraft requires about 100 km/h of speed to generate lift to take off and the wind associated with the storm produced the same effect. "Another aircraft moved about 45 degrees, but its straps held tight." Mr Voss said the response by council and security staff was swift and responsible. "The general aviation area was quickly cordoned off and checks made for oil and fuels spillage on the tarmac as well as any other damage and I conducted an investigation into the incident," he said. "Aircraft engineers were in Emerald last week and the aircraft has been craned onto a truck and taken to Mackay for assessment and repair." 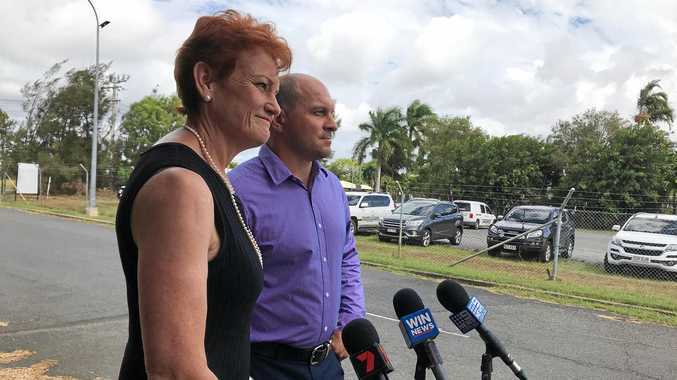 "During the afternoon on Wednesday 27 December, a massive storm passed through parts of Central Queensland with a concentrated cell hitting Emerald during the middle part of the afternoon. 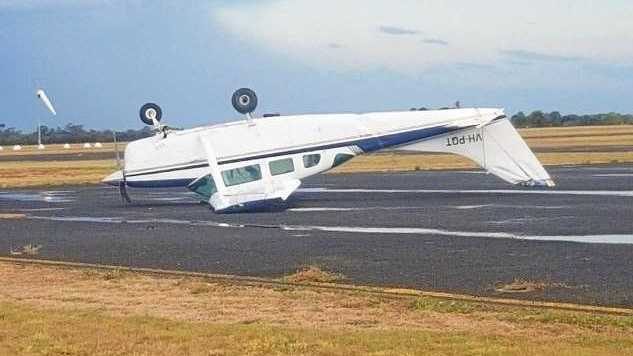 "At Emerald Airport, Privately owned Cessna U206 Super Skywagon VH-PQT was flipped by gust of wind and was spotted resting on its roof with substantial damage to the wings and tail." The CQ Plane Spotting post said photos shared by local plane spotters showed the aircraft remained on the Emerald Airport General Aviation apron the next day.